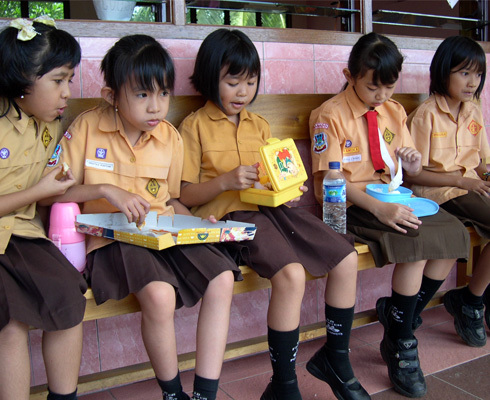 While poverty rates in Indonesia are slowly decreasing, pockets of severe food insecurity and malnutrition remain. The Ministry of Agriculture (MOA) and the Ministry of Health (MOH) are primarily responsible for food security and nutrition policies in Indonesia. Both ministries run and support programs such as RASKIN, a rice distribution program, and conditional cash transfers. SMERU has been actively engaged in a number of studies related to food and nutrition. Most recently, our research has looked at food security in a time of volatility, including price spikes and climate change. We are also an active member of the Food Security and Nutrition Network.